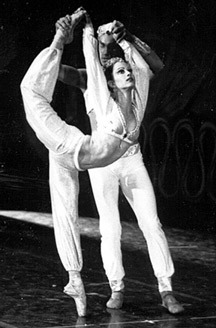 Among her Westside Ballet roles, Jacqueline Lywen danced the role of Arabian in The Nutcracker (1980). Her professional career took her to Stuttgart Ballet. Stuttgart Ballet has a long tradition dating back to 1609. In the twentieth century, it became a truly international company, as evidenced by its artistic directors: John Cranko (British), Glen Tetley (American), Marcia Haydee (Brazilian), and Reid Anderson (Canadian).